I have this thing about beads and yarn. It’s just a winning combination. You might remember years ago that I made about a gazillion beaded knit necklaces for me and pretty much every woman that I know. 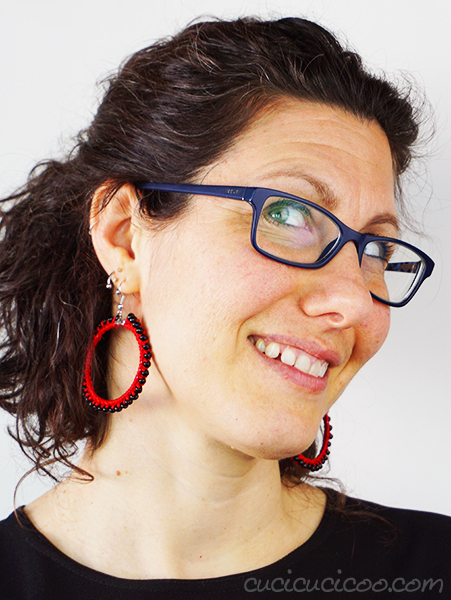 Which is why, when DMC contacted me to try out their new cotton perlè embroidery thread, I knew that I had to make some funky DIY beaded crochet earrings. Oh, yeah, I also love the combination of red and black. (Remember this refashioned black infinity scarf with red pom pom trim?) How fun are these earrings, right?! And they are so easy to make if you know the absolute basics of crochet! So, let me back up a little bit. 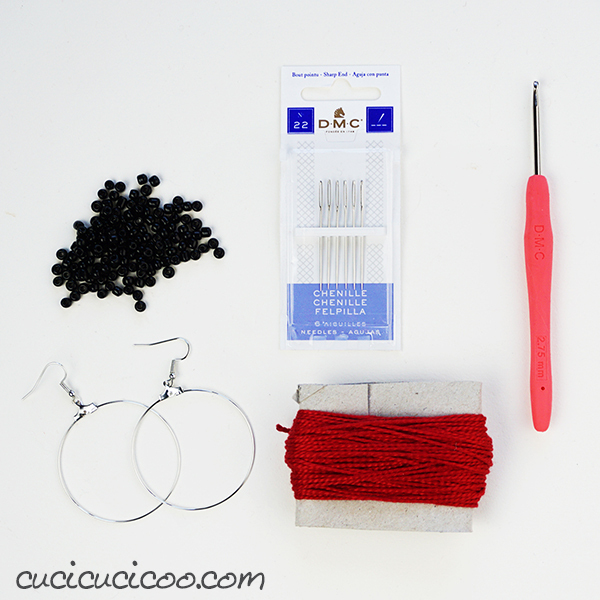 If you want to go right to the earring tutorial, just scroll down to the instructions and video. 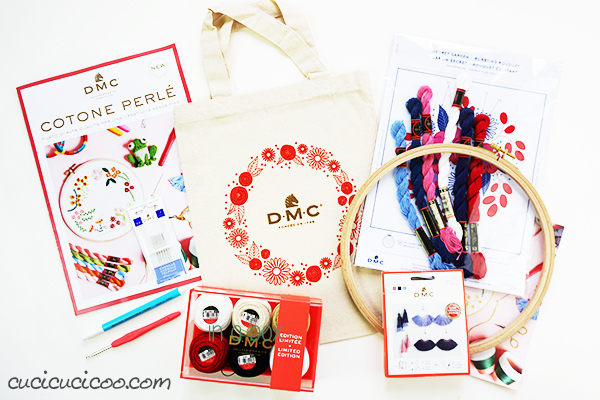 Like I said, DMC contacted me to try out their new Cotton Perlè embroidery thread. (I did NOT get paid for this post, and everything I write is my own opinion.) This thread was already a staple in the DMC line in thicknesses 8 and 5, but now it is also available in size 3, which is a nice, thick thread that is similar to a thin cotton yarn. 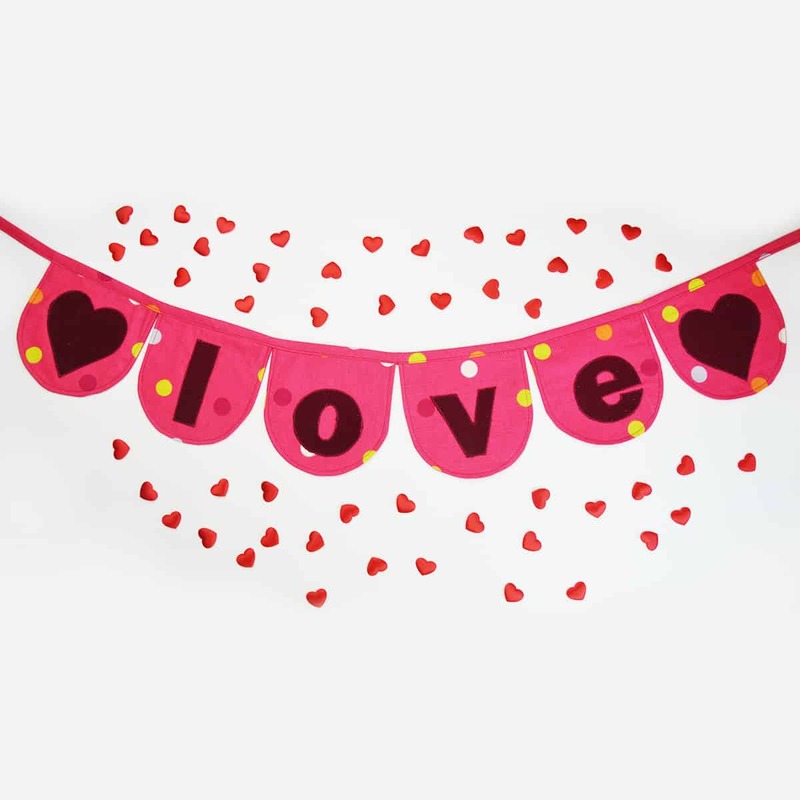 You can use it for embroidery, and the thickness creates a 3D effect. You can also crochet with it, weave it, wrap it around other object, and so on. It really can be used in so many interesting ways! I got a whole bunch of goodies from DMC to play with! 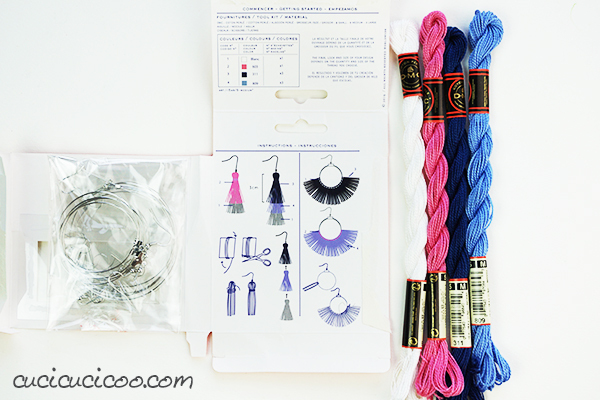 I received various colors and thicknesses of embroidery thread, a few embroidery patterns and other craft instructions, an embroidery hoop, a pre-printed tote bag to be stitched on, an earring kit, #22 chenille needles, a water soluble marking pen, and a crochet hook perfect for this new embroidery thread. 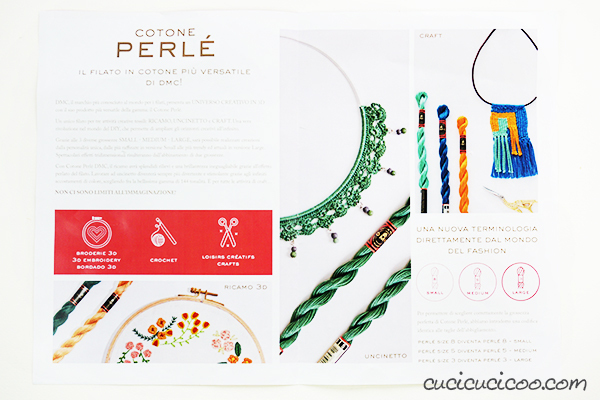 So let’s first take a look at the difference between the various sizes of Cotton Perlè (or Pearl) embroidery thread. 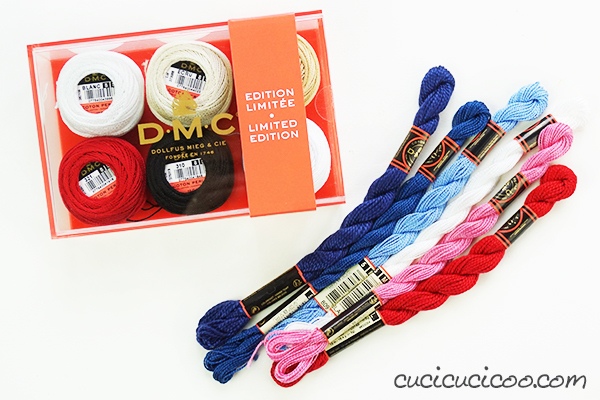 The box is a limited edition of six colors of size 8 single strand embroidery thread*. The skeins are the classic size 5 embroidery thread*, and the new size 3 embroidery thread*. Here you can see the difference in thickness in the red #321 cotton pearl thread size 3* (the thick one) and #321 size 8* (the thin one). Size 3 can be used for embroidery. 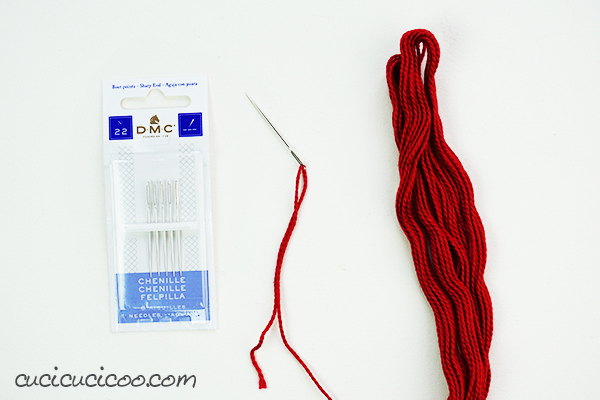 The DMC chenille needle #22* is perfect for this thick yarn. You can also crochet with this thread. 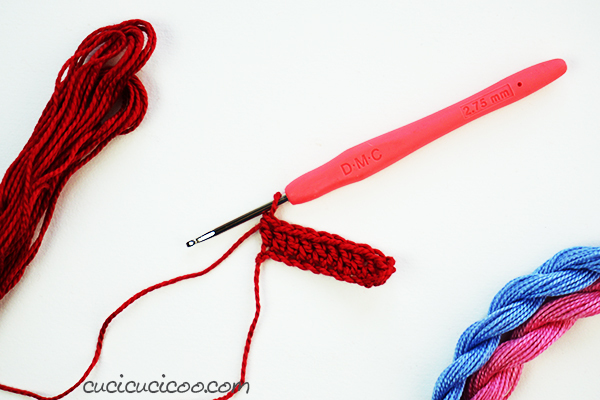 Here I’m using the 2.75 mm DMC crochet hook. 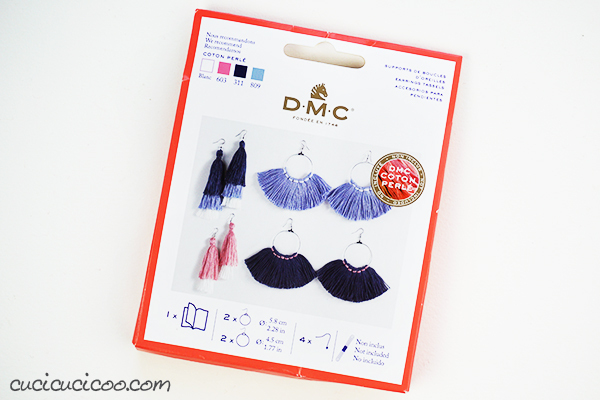 I also got this DMC earring tassel kit. It has eight hoops in two sizes and eight simple earring hooks. On the inside are instructions for different types of tassle earrings, but I decided to make my own style of earrings. First, string about 35 beads for the first hoop onto the thread, using the chenille needle. Remove the needle, then follow the instructions in the video, or scroll below the video for the written instructions. Hold the hoop wrong side up. 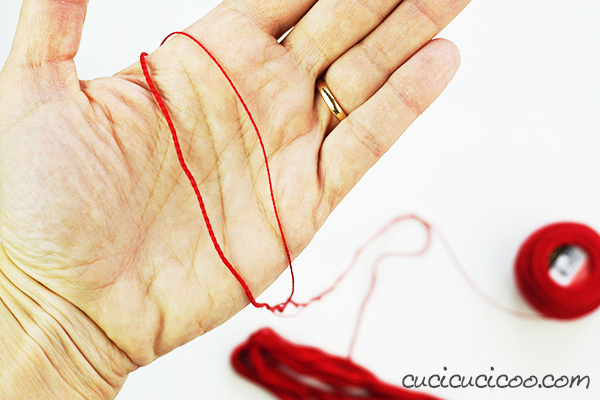 Pull the thread up through the hoop and make 1 slip stitch. Work 1 sc (single crochet), slide one bead up against the sc, and chain 1. Repeat step 2 all around the whole hoop. After the last chain 1, do 1 slip stitch around the hoop. Cut the thread loop and, using the chenille needle, thread the end under a few crochet stitches. Easy, right?! And isn’t that pretty! 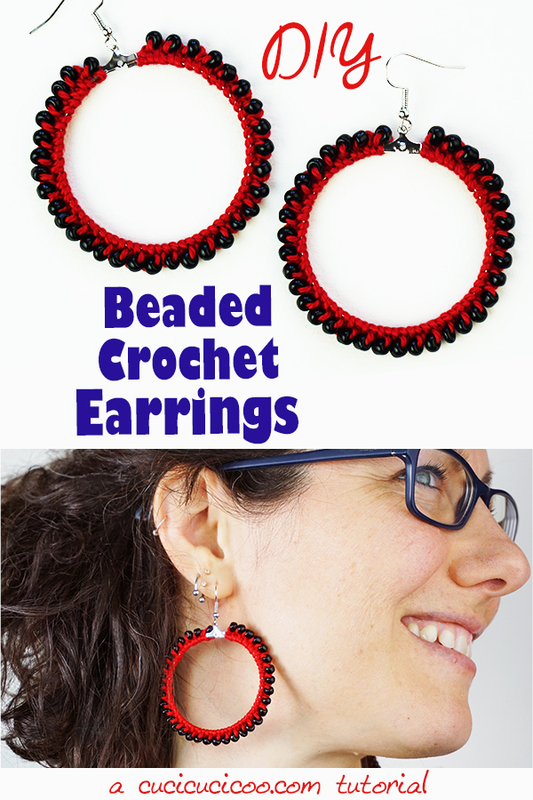 Now make another and try on your new DIY beaded crochet earrings! What a perfect way to snazz up an outfit! 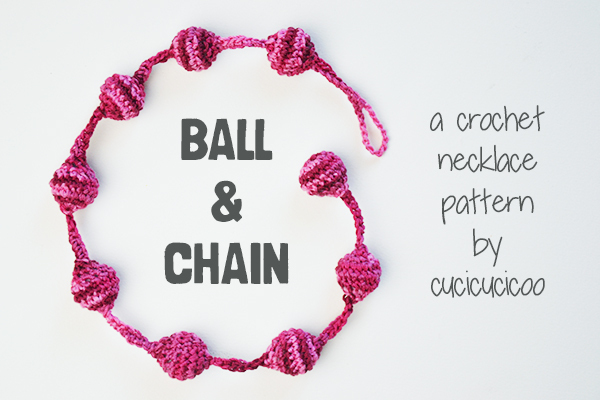 You could also use this DMC embroidery thread (or other cotton yarn) to make a Ball & Chain crochet necklace with my free crochet pattern! 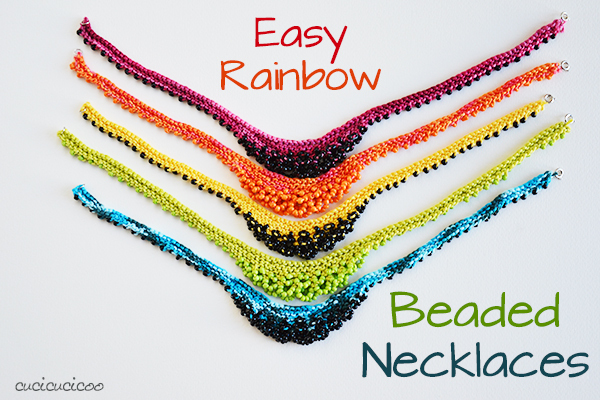 Or use the same yarn/embroidery thread and the same beads to knit these cool and colorful beaded necklaces! 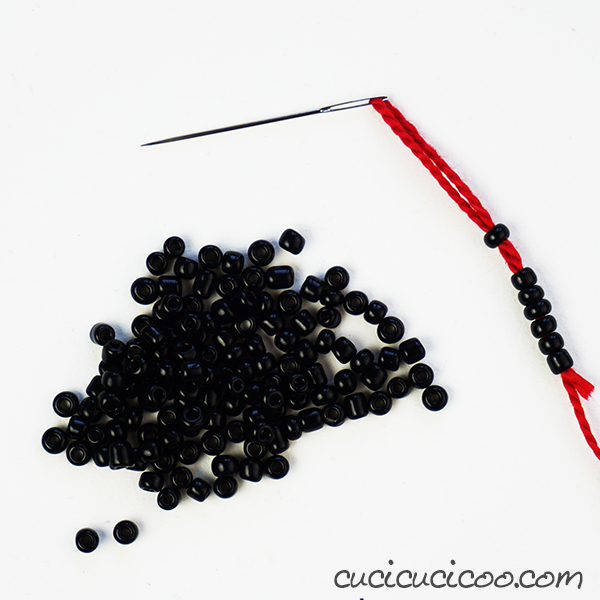 This is the project that the beads I used here were left over from! If you love this idea, make sure you sign up for the Cucicucicoo Newsletter here for access to tons of free creative projects! The Newsletter is sent out every other week with lots of great crafty ideas and links to a different free sewing pattern every week! 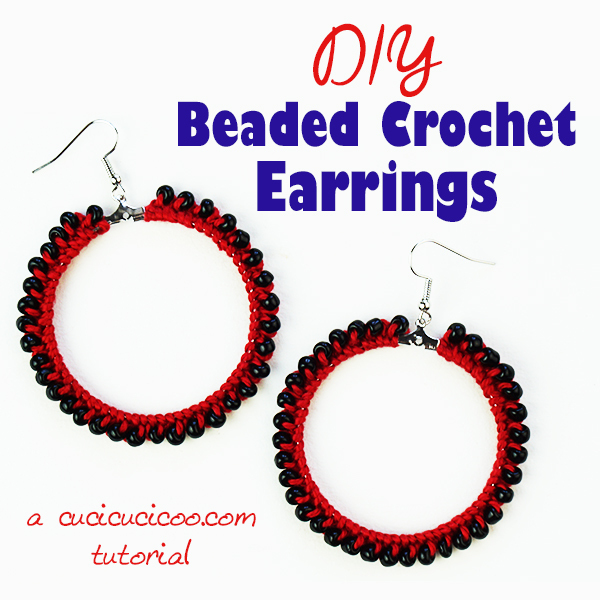 And, of course, make sure you click here to save this DIY beaded crochet earrings tutorial on Pinterest! 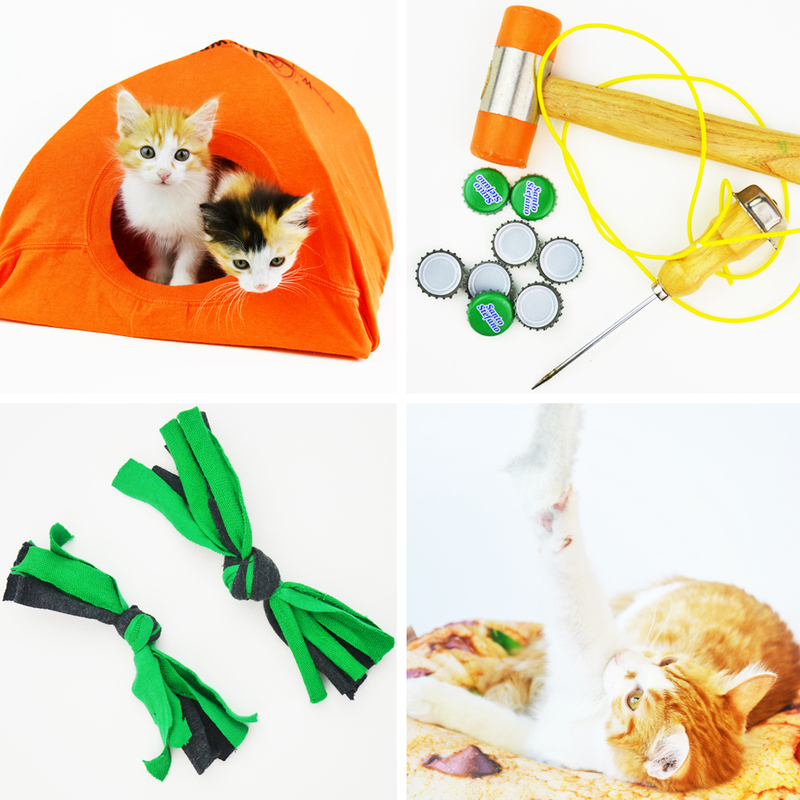 Previous article8 Easy Homemade Recycled Cat Toys in under 5 Minutes! Such a creative idea. And these earrings are looking amazing! I’m so glad you like them! They were so easy to create, too!